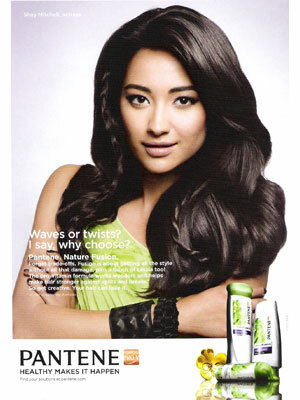 Shay Mitchell (born Shannon "Shay" Mitchell on 10 April 1987 in Toronto, Ontario, Canada), is a Canadian actress. 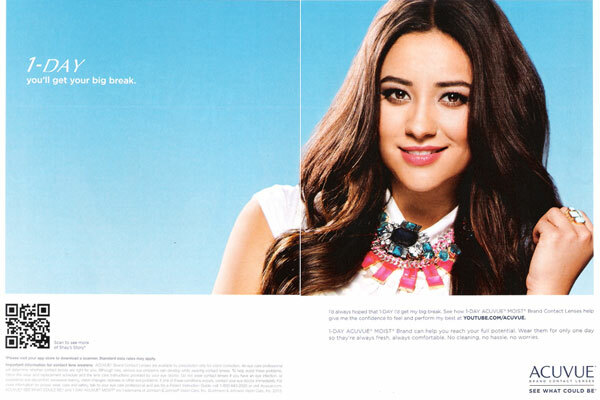 She is known for her role as Emily Fields on the TV series, Pretty Little Liars. 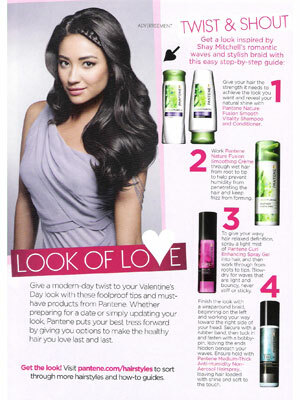 Shay is the face of the 2011 Pantene ad campaign. 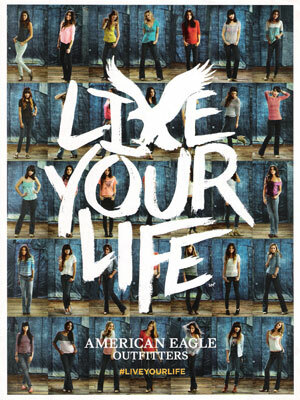 Shay signed with American Eagle Outfitters in July 2012. She is a spokesmodel for Acuvue (March 2013). In April 2016 she signed with Biore as a new brand ambassador. 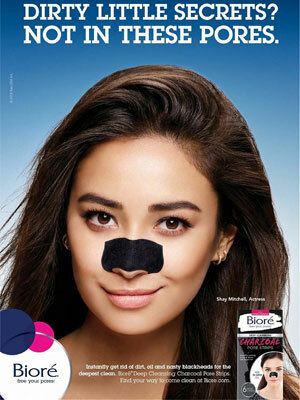 Check out Shay Mitchell's Magazine Covers.